EghtesadOnline: President Hassan Rouhani met with foreign ambassadors and representatives of international organizations in Tehran on Wednesday, ahead of the 40th anniversary of the 1979 Islamic Revolution. In his address, the president pointed to the US pressure campaign against the Islamic Republic and said, “America is making every effort to exert pressure on and fuel frustration among the Iranian nation, but our people are more united than ever,” his website reported. 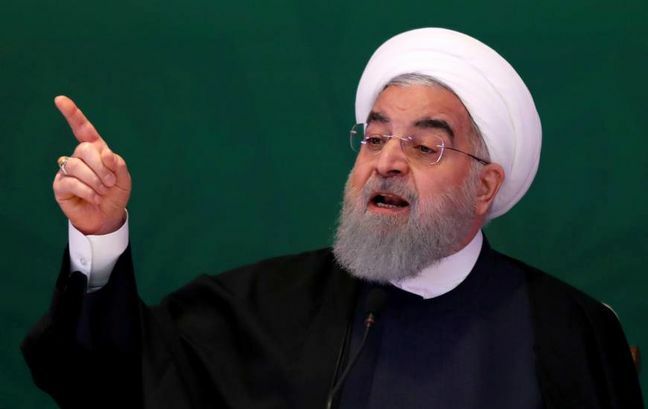 He noted that Washington has mobilized all its resources over the past four decades against Iran because “it lost a major ally and regional base” due to the revolution, Financial Tribune reported.